Hi-tech Singapore is planning to roll out a swarm of drones for tasks that include delivering parcels, inspecting buildings and providing security, but safety and privacy concerns mean the initiative may hit turbulence. Companies have already started testing the devices for commercial use, mainly in an area of over 200 hectares (500 acres) dotted with high-rise buildings and shopping malls, specially designated by the government for the trials. It is part of the affluent city’s drive to embrace technological innovation, as well as an effort to tackle a manpower shortage in a country of just 5.6 million, which relies on foreign migrant workers in many low-paying sectors. Commercial use of unmanned aerial vehicles is already taking off around the world, in areas as diverse as crop-spraying and surveying for insurance claims, but Singapore’s push represents a particularly ambitious bet on the technology. Singapore’s civil aviation authority has got behind the project, saying it recognises the potential for drones “to transform mobility and logistics”, and is working with industry players as it seeks to shape regulations for the sector. During recent tests, a drone buzzed through the air, snapping pictures of a tower block’s facade, trials for a system that could see laborious human inspections of the city’s ubiquitous high-rises replaced by automated checks. “Today’s existing building inspection process is extremely slow, expensive, tedious, prone to accidents, fatigue and human error,” said Shawn Koo, chief technical officer of H3 Zoom, a unit of the firm H3 Dynamics, which is behind the tests. Such inspections are typically carried out by workers from South or Southeast Asia, who hang precariously outside buildings on platforms suspended by ropes. The new system will see high-resolution images taken by drones and analysed to check for defects, with inspections taking a few days rather than a few weeks, as they do at the moment. H3 Zoom hopes to fully launch the inspections next year. Drones are also being tested as robotic guards by local firm ST Aerospace. At its command centre, screens show a simulated security breach in a fence. A black drone is deployed, which chases an intruder while transmitting live images that direct security officers towards him to make an arrest. Tests have also been carried out for drone parcel delivery while a hospital operator plans to use the devices to transport blood samples and specimens between its hospitals and central laboratory. But transforming the futuristic vision into reality faces hurdles. The prospect of having a drone suddenly whizz by your apartment or office has sparked privacy concerns in the land-scarce city. Angry Singaporeans called for police to investigate after a video circulated on social media in September showing a recreational drone flying close to a residential building, while some private condos have banned the devices. Flying recreational drones is popular in Singapore, although permits are required in certain circumstances. But commercial drones present more challenges when it comes to safety, as they often fly over longer distances well beyond the sight of their human “pilots”. This requires flight paths to be planned and the use of private communications channels, while takeoff and landing sites must be built. “The main challenge is to address the risks to people on the ground and the risks to airplanes flying in the air, and the risks of colliding with a building,” Teong Soo Soon, programme director of the UAV business unit at ST Aerospace, told AFP. Despite the ambitious plans, it will be some time before all the ideas currently being tested are rolled out. Simpler tasks like building inspections and security surveillance look set to be launched commercially next year. 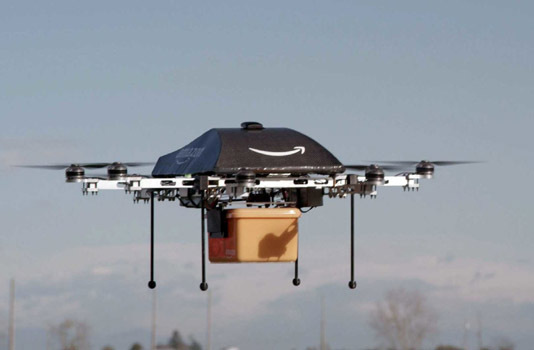 But for situations where drones need to fly safely across Singapore — such as with parcel delivery — it could take three to four years as regulations are put in place, Teong said. Industry players nevertheless see a bright future and are already getting inquiries from as far afield as South America about their technology. “A successful Singapore story will help us promote our (drone system) internationally,” said Teong.